Click on the PLUS sign to expand the options. Every form you will ever need is on this page. Once you submit it a copy will go to the appropriate ACRI agent who will assist you. Make sure to click the submit button firmly you will receive a copy of your submission using the email you provided. • Check your email spelling. • You entered an invalid date. • You uploaded VERY LARGE images - send a maximum of 2. 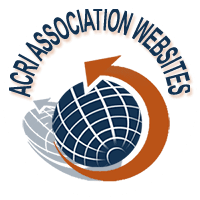 • Add info@acrirlty.com into your email contact list. • You did not firmly press the submit button. This form must be submitted for approval before any alteration can begin. Attach a drawing showing all existing elements, including shrubs, porches and proposed alterations. Include the neighboring homes and yard in the drawing, showing the distance from nearest existing elements to proposed additions or alterations. Also attach specifications and a copy of the construction proposal. You will be notified in writing if your request has been approved or denied. You will receive a confirmation email sent to the address you specified. Keep it for your personal records. *Please note if you do not have upload capabilities for structural requests mail or fax the documents to the Acri office. Include your name and property location. Make sure to enter today's date. Your submission will not work unless you do. If you do not reside at the residence you will be asked to provide your mailing address later. Address where alteration is to occur. You can link to website images. Simply type in the text, highlight the content with your curser, Click on the Link icon and paste in the url. 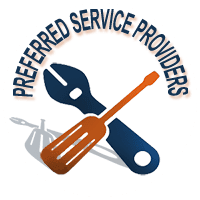 Contractor Information - Give as much detail as possible. Notification does not mean your neighbor approves of your requested alteration, only that they are aware of your proposed alteration. Objections should be made to the management company. You may be assessed fines should you begin alteration before approval has been given by your Board of Directors. Depending on your documents requests may take some approval time. Not all requests are valid, check your documents. If you have questions contact your property manager. Please fill out your inquiry along with a brief comment and our accounting department will get in touch with you shortly. If you need to update your payment information someone will be contacting you to help. Please do not send any confidential info here. Please fill out this form and we will get in touch with you shortly. Your message will be read during normal business hours. If this is an emergency call 412-459-0111 select option 2. For a true emergency call 911. Contact Our Insurance Counselor - Are you covered correctly? ARE YOU COVERED CORRECTLY? Find out today! 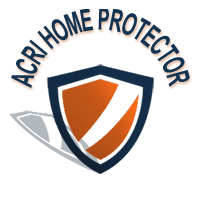 As a homeowner under the Acri Management umbrella we will perform a free analysis of your current insurance policy. Our Acri Insurance Counselor will perform a complete review of your needs and evaluate your present insurance coverage. Owner Occupant Form - Let us know your emergency info. This is a request for information only and is not a requirement. The information on this form is necessary to establish individual unit owner files. It is especially helpful in an emergency contact situation. All responses will remain confidential We are only requesting Tenant information to keep our files current. * (Kindly fill out this form personally and submit the requested information should you have a renter in your unit.) 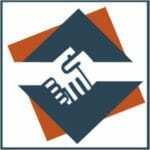 * Acri does not manage tenant/owner relationships. Please let your emergency contact you are using them as a reference and to kindly answer any calls coming from unknown numbers during your absence. This is not required information. We like to have this information but you do not need to answer. This is helpful information but you do not need to include it. You will receive a confirmation email sent to the address you specified. Keep it for your personal records. If you do not know it is ok, but the name of your community is needed. Please choose one that best describes your situation. Keep in mind requests are subject to Director approval. Payment Consent Form - How are you paying your Fees? e-Check or Credit card payment from duespayment.com. I will be responsible for initiating this payment. Coupon books will not be provided. Personal Online Banking. I will be responsible for initiating this monthly payment. Coupon book will not be provided. 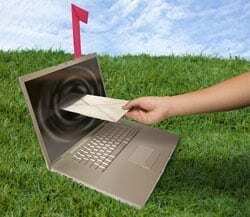 Password Request for your HOA Website- We will send it to you. Please fill out this form in full. The password needed to access your information arrive within 24 business hours. Rule Violation - See something wrong? Use this form to report a rules violation in your community. Your message will be kept confidential unless you are needed to testify before the executive board. Before the board can act upon any violation to the Rules and Regulations, all violations must be documented in writing or electronically submitted. This form must be completed and sent to the Management Office before any action is taken. If you know their name that really helps us. Have a pic? Upload it here. If using your mobile device the image must be under 8MB. Please compress if upload fails. Newer devices have rather large sizes. This will help us determine the type of report you are seeking. If you do not that is OK but it will really help expedite our response. 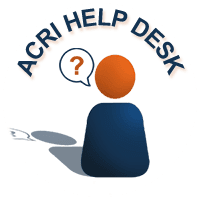 If you should choose to provide us with personal information as in an e-mail or by filling out a form and submitting it to us through any of the Acri Managed Websites we will use that information to respond to your message and to help us get the information you have requested. 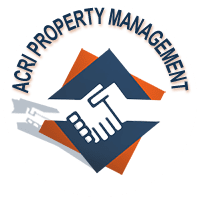 Acri Commercial Realty does not collect personal information for commercial marketing or distribution to any private organizations.